So you’ve bought a new car— It drives and operates quite well, and has no issues at all; over time, however, that can quickly change. Small issues can compound and suddenly it may seem like you’re visiting the mechanic every single week. Minor fixes can be a major hassle and going to a technician for every little thing can quickly add up. If your car has been in the shop more than in your driveway, you’re most probably getting tired of pouring money into it. In this article we’ll go into depth about some different fixes, tune-ups, and maintenance you can do at home without breaking the bank. If you’ve noticed your mechanical hardware deteriorating, squeaking, or certain features are looking worn down there’s a chance the issues with your vehicle may stem from its old parts. Outdated parts can be the cause of poor vehicle performance, and oftentimes there’s a relatively simple solution. Instead of taking the car to an automotive specialist who will charge for the labor and for ordering the new components at an inflated rate, you can order and replace these parts yourself at home. For example, online car part shops like BRAKETIMEUSA sell top of the line rotors and pads among many other quality products. If this all sounds daunting, don’t fret; swapping parts yourself is completely achievable with just a little bit of patience and research. There are many different resources that can simplify DIY car maintenance. You could start by reading your car’s manual or utilizing online resources like forums and message boards. We strongly believe that your best bet is to watch video tutorials that show you the step-by-step process. By updating old worn-down mechanisms yourself you will ultimately save a great deal of money in addition to giving your car its original driving feel. Another simple way to maintain your car’s original look and feel lies purely in aesthetics. If you’re going through all the trouble of tune-ups, replacements, and maintenance, you might as well go all out and make sure the interior and exterior of your car is spick and span. You can always take your car to the cleaners, but a deep clean might require you to reach deep in your wallet. Instead, we recommend cleaning your car yourself. All you really need is a good vacuum and some premium cleaning products. A shop-vac is a great option for detailing an interior made of carpet or leather. If you want to go above and beyond you could always rent a high quality carpet cleaner. If your car is usually parked next to a sprinkler system you may notice that hard white calcium deposits form on your windows or windshield. One fix for cleaning dirty glass quickly is to use muriatic acid designed for pool cleaning. Simply dilute the acid, and with proper protection such as gloves and a respirator, wipe away the debris affecting your glass. By putting in the extra effort to make sure your car is spotless, you’ll not only feel better about your vehicle, but you may even improve its aerodynamic performance! When it comes to the wheels in particular, we recommend thoroughly cleaning them at least once a week. 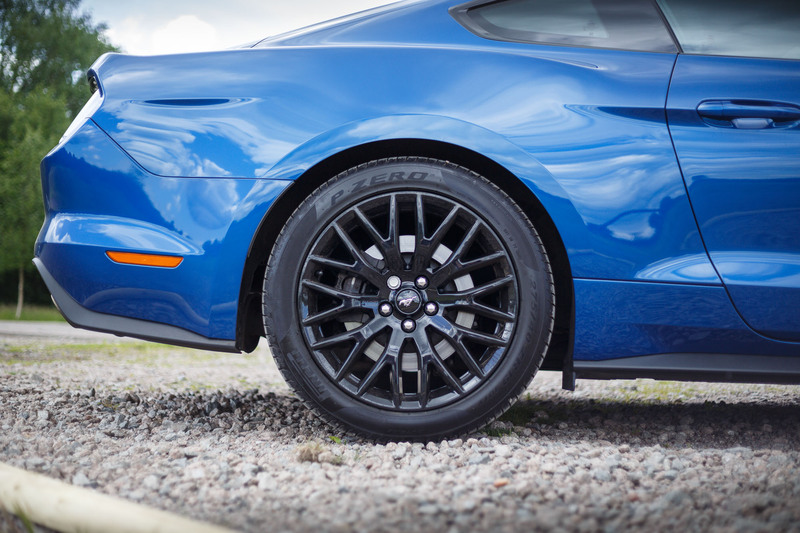 Cleaning your wheels and tires regularly is not just an appearance issue, as it is definitely preventative maintenance. If you allow brake dust to sit on your wheels for a prolonged period of time, it can have a very negative effect on brake pad and rotor performance. Today, cars are loaded with high-tech features that ultimately make them more modern and safe. The latest automotive technology typically includes GPS units as well as media and audio centers. Typically this modern technology falls under the cars warranty, however there are many DIY options for keeping these systems up to date. We recommend performing regular software updates and hard reboots to extend the life of your cars electronics. Following a regular maintenance schedule is an important step in keeping your car safe and running for years to come. Ensuring that your car looks brand new will pay dividends down the road, especially when the time comes to sell. In instances where a good car wash won’t be able to remove stubborn embedded dirt and residue, we recommend using a non-abrasive car care system to cleanse and restore the cars original beauty. If you’ve got small dings and scratches, you can look up the color code of your vehicle in its manual and purchase the exact paint through your dealership, local autobody shop or chain retail store. These paint samples come in jars or paint sticks and can go a long way in touching up small imperfections. For larger chips or blemishes, you may want to invest in a pressurized pneumatic paint spraying applicator. These devices can help you achieve factory grade quality paint jobs and with some experience could even allow you to repaint the car an entirely different color. Oftentimes, you’ll see custom paintwork featuring stencils and patterns that help give a paint job some extra flair. If your paint is spotless, you can also take the extra time to buff the exterior and give it an extra glossy shine. If you’re still unsure about how to go about a certain fix or repair there’s no shame in going to a specialist that can help you resolve these issues. They’re trained in their field and usually focus in different areas of automotive maintenance; but remember, you get what you pay for and someone who is an experienced tradesman may cost quite a bit more than your local autobody repair shop. Even still, being able to do a wide range of maintenance yourself will help you save in the long run. With these concepts in mind, it has never been easier to keep your car looking and feeling as new as the day you drove it off the lot. Give your car that showroom shine by following this DIY maintenance guide. Let us know if you have any other tips for taking care of your car. We’d love to hear your feedback in the comment section below.